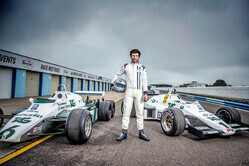 Williams Heritage has teamed up with broadcaster Channel 4 to rebuild the first F1 car ever driven by Ayrton Senna. Speaking at Sheffield International Documentary Festival, presenter Guy Martin announced that he will be getting behind the wheel of the Williams FW08C to race world champion Jenson Button at Silverstone on the first day of the British Grand Prix weekend. Button will take on Martin in the most unusual of Formula One cars: the FW08B - a six-wheeled Williams prototype that was banned by the FIA just months before the 1983 season began. 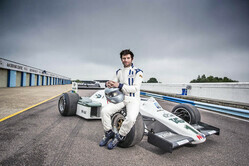 The showdown is the culmination of a new documentary, Speed with Guy Martin: Classic F1 Driver. To be aired on Channel 4 later this year, the documentary sees Martin embark on the huge challenge of rebuilding Keke Rosberg's classic 1983 car. Not only does he have to get to grips with the intricate engineering and specialised racing technology of a thoroughbred Formula One car; but he'll also have to learn how to drive one of the most challenging motors on earth. "I feel that I'm in good company behind the wheel of the Williams FW08C," said Martin. "It was the first F1 car to be driven by the great Ayrton Senna and it won the 1983 Monaco Grand Prix. It's been a real privilege to work with Williams on bringing this iconic piece of motoring history back to life. Jenson may be a world champion but with a stunning vehicle like this all bets are off." 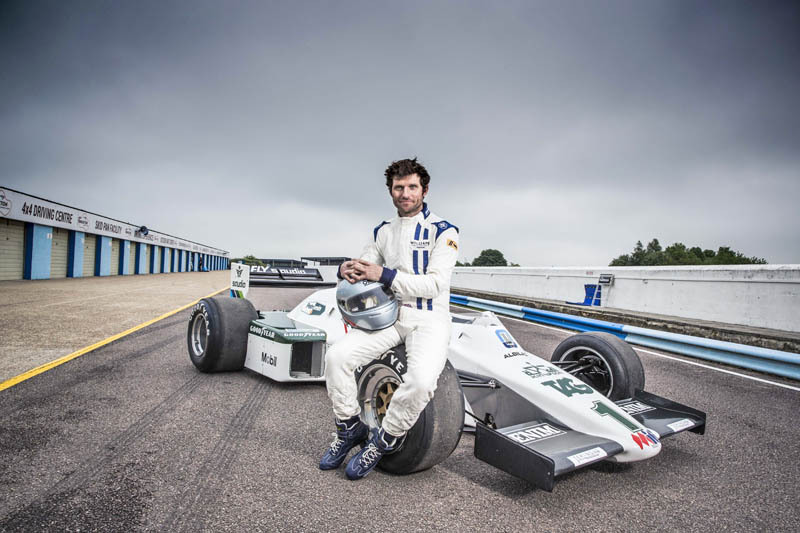 "It has been great to open our doors once again to Guy Martin," added Jonathan Williams, Williams Heritage, "this time engaging him with our Williams Heritage department. Guy has proved himself to be the consummate professional yet again, being both mechanically adept and having a real feel behind the wheel of a racing car. The FW08C continues to play an important role in our 41 years of racing history and we are pleased to offer both Guy and Jenson the opportunity to showcase some of the team's history at Silverstone." "From a time that they were approaching the sharp end of the field to where they are now. Must be painful for them to see." "Looking forward to watching it like both guys great racers"